2 Bedroom Terraced House For Sale in Yeovil for Offers in excess of £160,000. 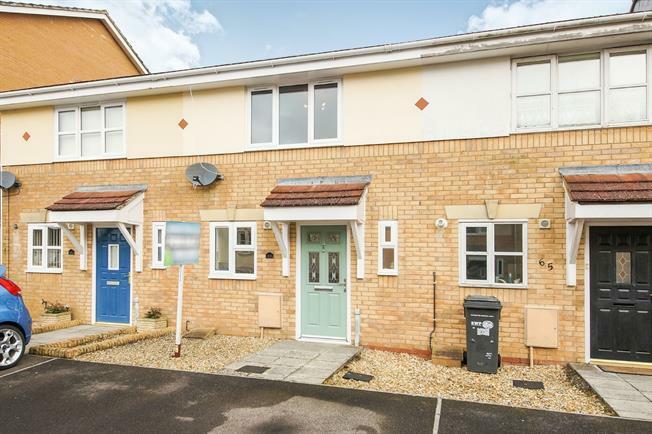 This well presented two double bedroom home is situated on the Western side of Yeovil and benefits from well proportioned accommodation comprising: fitted kitchen, WC, lounge/diner with French doors to rear garden, two double bedrooms and two bathrooms. There is a low maintenance rear garden that is predominately paved, off road parking, double glazing and gas fired central heating. The property is a must view for investors and first time buyers alike. With window to front and a range of base and wall mounted units with worksurfaces over, incorporating stainless steel sink unit with drainer, oven and gas hob, extractor fan and space for dishwasher and fridge freezer. A well proportioned room with French doors to rear, radiator, stairs to first floor and ample room for dining. With suite comprising low level WC, pedestal wash hand basin and shower cubicle. With modern suite comprising panelled bath, low level WC and pedestal wash hand basin. To the front there is allocated parking and to the rear there is a low maintenance garden that is predominately paved and houses a good size shed.